Are You A Resolutions Addict? 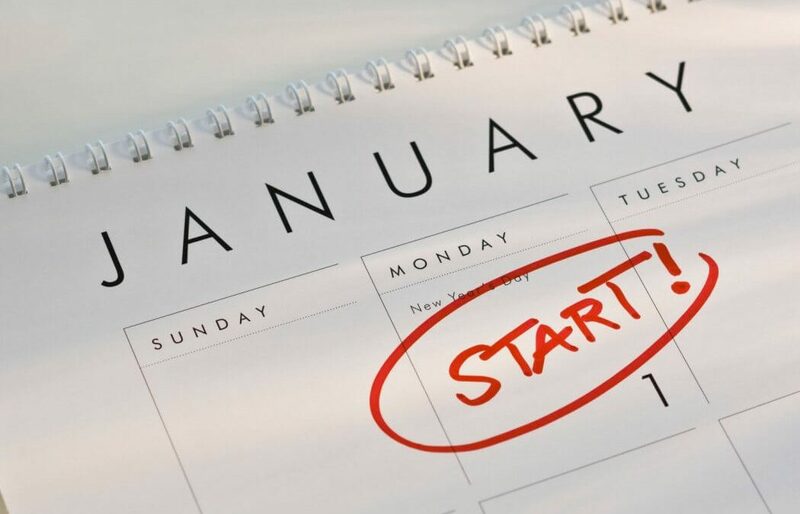 Are you among the countless number of Americans who start the New Year with a pre-determined amount of resolutions for changing your life, only to fail by the beginning of February? Do you vow every year to change your finances, change your health, lose weight, or become an overall better person? Do you find yourself cheating on your diet by mid-January, skipping classes at the gym because, “it’s too cold/I’m too busy/I’ll make up for it tomorrow.” Fear not, for you are not alone! According to researcher John Norcross, who published his findings in the Journal of Clinical Psychology, approximately 50% of the population make resolutions each year. Of the 50%, only 8% of people actually keep their New Year’s resolutions, according to one commonly cited statistic. There are many reasons people don’t stick to their resolutions, from setting too many of them to getting derailed by small failures. In addition, returning to normal everyday routines after the hustle and bustle of the holidays makes it especially difficult to stay on track with exercising, studying, classes, etc. In December of 2016, the Huffington Post ran an article on how to succeed with your New Year’s resolutions. The article suggests that setting small, incremental lifestyle changes, rather than grandiose, significant changes. They might not feel as impactful as the bigger changes, but you will have a greater chance of success. Moderating resolutions could be the difference between giving up in February and creating a lasting lifestyle change. The article then suggests that instead of seeing the commitments as “resolutions”, try using the word “reset” instead. Rather than setting hard-line resolutions, increase your chances for success at reaching your long-term health goal by seeing it as a chance to reset your health and wellness. A resolution represents a firm decision to do or not do something, while a reset is an opportunity to “set again” or set your habits differently. With a reset, you commit to moderate, realistic goals and making small changes daily – not just on January 1. Resets also allow for modifications as you progress, so that you can figure out what works and what doesn’t work. A December 2010 article in Psychology Today quoted Timothy Pychyl, a professor of psychology at Carleton University in Canada, as saying that, “resolutions are a form of ‘cultural procrastination’ where people make an effort to reinvent themselves. They make resolutions as a way to motivate themselves.” Pychyl argues that people aren’t ready to change their habits, particularly their bad habits, and that accounts for the high failure rate. The other aspect of failed resolutions lies in the cause and effect relationship. You may think that if you lose weight, or reduce your debts, or exercise more, your entire life will change, and when it doesn’t, you may get discouraged and then you revert back to old behaviors. Making resolutions work is essentially changing behaviors and in order to do that, you have to change your thinking and “rewire” your brain. Brain scientists, such as Antonio Damasio and Joseph LeDoux and psychotherapist Stephen Hayes, have discovered, through the use of MRIs, that habitual behavior is created by thinking patterns that create neural pathways and memories, which become the default basis for your behavior when you’re faced with a choice or decision. Trying to change that default thinking by “not trying to do it,” in effect just strengthens it. Change requires creating new neural pathways from new thinking. So the big question remains…how do we succeed? For one thing, all of the articles cited have the same suggestion – prioritize your goals and limit the number of changes you would like to make. Set realistic and specific goals. Setting too many goals can cause us to lose track over time and feel like more of a failure. After all, we as humans have a tendency to focus not on what we have accomplished, but on how much we have failed to accomplish. Secondly, most experts agree that going it alone can make it harder to succeed. Engaging a friend to work out with you, or establish a group of peers to cheer you on and support your efforts. Share your accomplishments, as well as your failures, with people who have a common goal and understand the ups and downs of making these resolutions (aka resets). And finally, remember that you are trying to make life changes – not just momentary changes inspired by the latest trends or societal influences. You are making changes for you. Your health and well-being are what matters most, not the numbers on the scale or the amount of money in your bank account, and certainly not the amount of “LIKES” you received on your social media posts. If we can’t treat ourselves with the same respect and dignity that we do others, than these resolutions are bound to fail and we will find ourselves right back to where we started at the end of the year. So this New Year, take it easy on yourself! Celebrate the small milestones, rather than focusing on the end result and recruit a family member or friend to support your goals. Consistency and support is what it all comes down to!